Jelastic Makes the Java Future in the Cloud. Any Doubts? 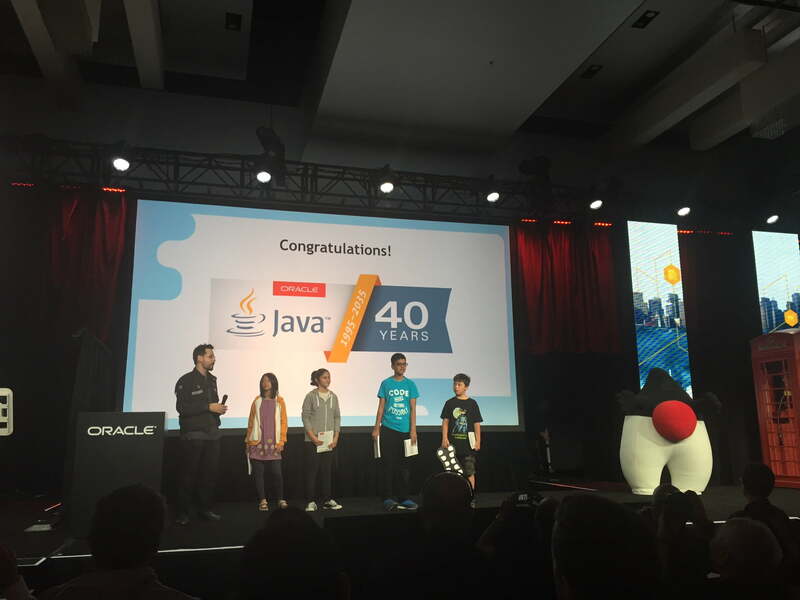 Last week Jelastic visited sunny California to join a numerous Java community at Java One 2015 in San Francisco. Java geeks, outstanding projects, technical talks, intensive networking and relaxing afterparties – what can be better? We are happy to share our impressions from this event with you. This year we exhibited at JavaOne together with our technical partner Odin whose Virtuozzo containers keep being an integral part of Jelastic Cloud already for five years. Jelastic space booth attracted lots of visitors who showed high interest in our product. Among them there were our current customers, as well as those who consider using Jelastic in the near future. Many Java developers were impressed by the features implemented within the platform. This proves that Jelastic makes the Java future in the cloud. As promised, at this meeting there was invited one of Jelastic customers – Wolf Nkole Helzle – who hosts his Java project myMatrix on dogado (more details will be provided in the upcoming post with Wolf’s interview). For sure this cool private talk couldn’t be held without our advisor and a good friend Bruno Souza, Java gurus Edson Yanaga and Otávio Gonçalves de Santana, JUG leaders Fabio Velloso, Paul Webber and Andrii Rodionov. After visiting “Coffee Potpourri: A Mixture of Everything Java” with Bruno Souza, there are no doubts how real meetup for tech guys should be built – interactive, informative and interesting, as always with Bruno! And yes, Elton John really rocked the party! And Jealstic see you next time at Java Day in Kiev (November 6-7) where James Gosling, Bruno Souza and Ruslan Synytsky will present their sessions. Don’t miss!